This was some crazy wizbiz. Dame of the Game: The guy that brushes down the court every time someone falls over. Shame of the Game: The kids they let play on the court at halftime seemed pretty bad. 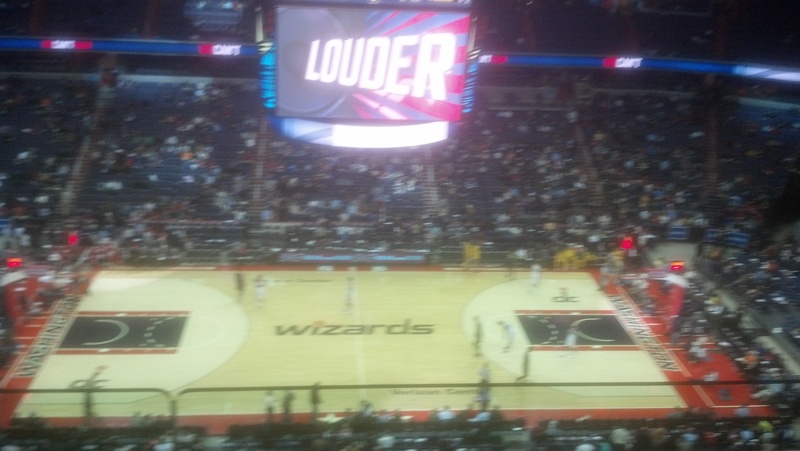 I went to a Washington Wizards game last night. I’m still not entirely sure why. They certainly didn’t win. In fact, they were losing the whole time. At one point, they were almost not losing! But then they were losing again. Very few other people made the same decision as me. I guess they knew better from past experience or something. The crowd was either very resistant to following instructions or didn’t have tongues or hands. 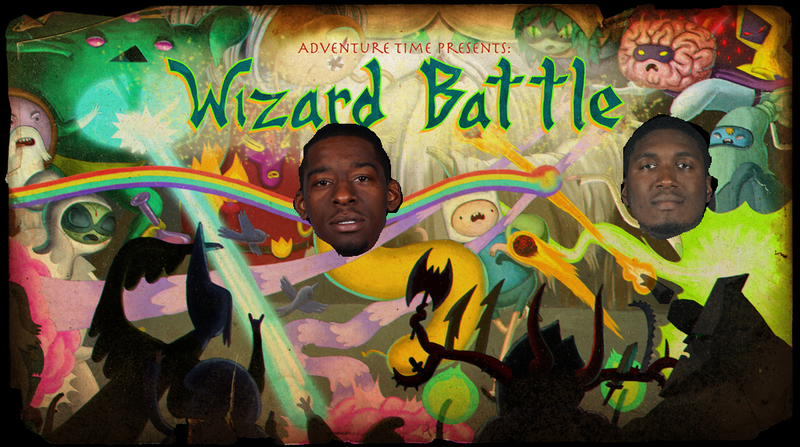 Here’s my analysis of what happened: the Wizards definitely played basketball against the other team. But for all the times they got points, the Pacers got points even more times and, well, that was that. What a basket. What a ball. I hope you enjoyed this NBA-related post from a real basketball expert (me) and that you will continue to tune into The Zimmerman(n) Telegram for all your live up-to-the-minute all-you-need-to-know-about-hoops basketball coverage needs. The long National nightmare is over. After so much speculation, Washington will have Carlos Maldonado back, serving this country, for another year. After Maldonado elected free agency, many weren’t sure if we’d ever see his face again. Or if we had ever seen it in the first place? He’s such an obscure player, I really don’t know what he looks like. But now we are certain that Carlos will return and be in a position much like Obama is. 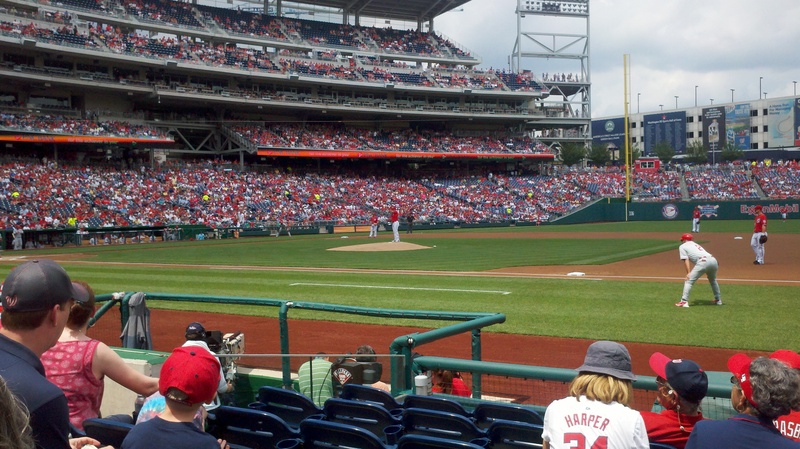 In a dangerous spot in Washington where everyone is looking to take you out (the Oval Office/behind home plate at Nationals Park), with limited chances that they will get anything done (because of a bitter and unhelpful House/tremendously limited baseball ability). Good luck at leading this great country, Carlos. 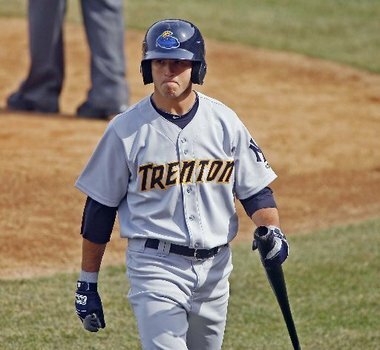 In other news (I can call it that since news’ reputation as actually important has taken quite a hit in recent years) the Nationals have signed former Yankee Ray Kruml to a minor league deal. Kruml may not be the most talented player, but he does have the most confusing last name. Krum would be a fine name. We’d be able to make a lot of jokes and signs referring to Krum the Horrible, the 9th century Khan of Bulgaria. It would be a great comparison, since Kruml’s chances of being a major leaguer seem somewhat horrible. But instead we’re stuck adding an “l” to everything. Kruml the Horriblel? Doesn’t quite slide off the tongue. In fact, my tongue broke trying to say that. …I couldn’t see the tops of their heads, and I had to put the caps somewhere. Before the Mets lost to the Cardinals this afternoon, it was a three way tie atop the NL East. That close in the standings, some peoples’ tongues are just bound to run into each other. The standings were also the exact opposite of the NL East standings from 2010. Speaking of things that are better when they’re the opposite, Chien-Ming Wang’s name backwards is Gnaw Gnim-Neihc. It was a lovely day for ruining the days of Phillies fans. Phillies fans. During the offseason, it’s easy to think to yourself “You know, Phillies fans are people too. They have spouses and children and and beer that they love just as much as the rest of us. I’m sure they’re all basically good at heart and I’ve just exaggerated how terrible they are in my mind.” Then you see a particularly loud, obnoxious and drunk one shoving a “CB South” sign in your face and you remember that some stereotypes are true. The Zimmerman(n) Telegram was back for more Natitude[sic] Park this afternoon, so I hope you’re ready for another photo-based game summary. Cause here it comes, hot, steaming and in colorful.